In 2009, a patient with acute myeloid leukemia (AML) was the first person with cancer to have his or her whole genome sequenced, helping scientists to learn more about the molecular drivers of the disease. Despite the knowledge gained, researchers have struggled to develop therapies that specifically shut down those drivers. But this year brings hope for patients with AML, with the approvals of several new treatment options, including therapies that target specific molecular mutations. 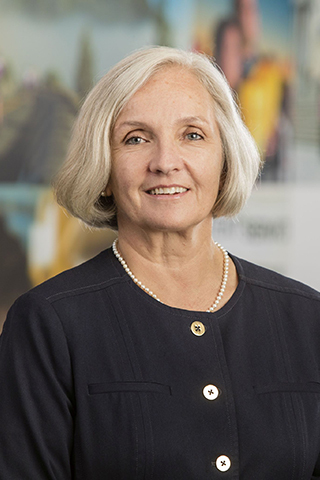 Dr. Gwen Nichols, chief medical officer for the Leukemia & Lymphoma Society (LLS), believes that these targeted therapies are helping to usher in the era of precision medicine in AML. As we recognize Blood Cancer Awareness Month, Dr. Nichols explains the challenges of translating knowledge into treatments and why she is excited about the future of precision medicine in AML. Dr. Gwen Nichols, chief medical officer for The LLS, is hopeful about the future of precision medicine in AML. Why has treating AML remained a challenge? “AML is a complex and dynamic disease that really needs a precision medicine approach to treat appropriate patients. Some patients diagnosed with AML will respond to standard chemotherapy regimens, but most will relapse. Chemotherapy targets highly proliferating cells but may be missing the cells that initiated the AML. Those cells remain behind, recover and can cause the disease to come back in AML patients. This is one reason why the five-year survival rate for AML patients remains low at just 27 percent. Why has it been challenging to develop targeted therapies for AML? AML is a complex and dynamic disease that really needs a precision medicine approach to treat appropriate patients. 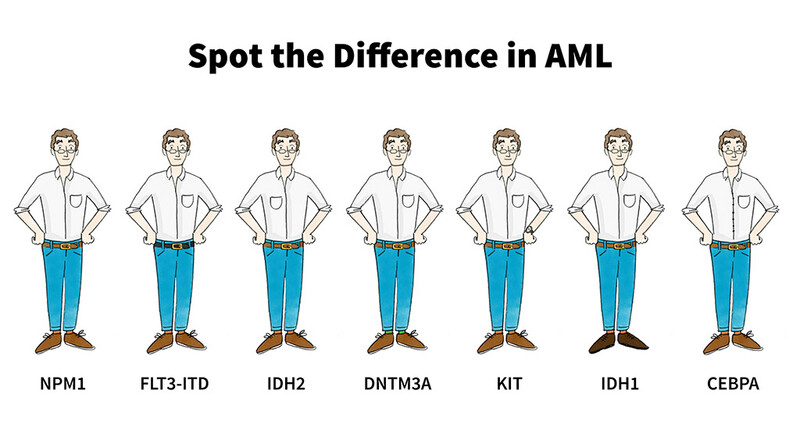 What type of diagnostics would you like to see to facilitate precision medicine in AML? How do the clinical trial designs need to change for precision medicine? What needs to happen to truly enable precision medicine in AML? Alan F. List, MD, president and CEO of the Moffitt Cancer Center in Tampa, has made many contributions to hematology. List remains focused on what he has to offer the hematology field, so, last December, when he was recognized with the 2016 Celgene Career Achievement Award, he was humbly grateful. Alan F. List, MD, president and CEO of the Moffitt Cancer Center in Tampa, was recognized with the 2016 Celgene Career Achievement Award. 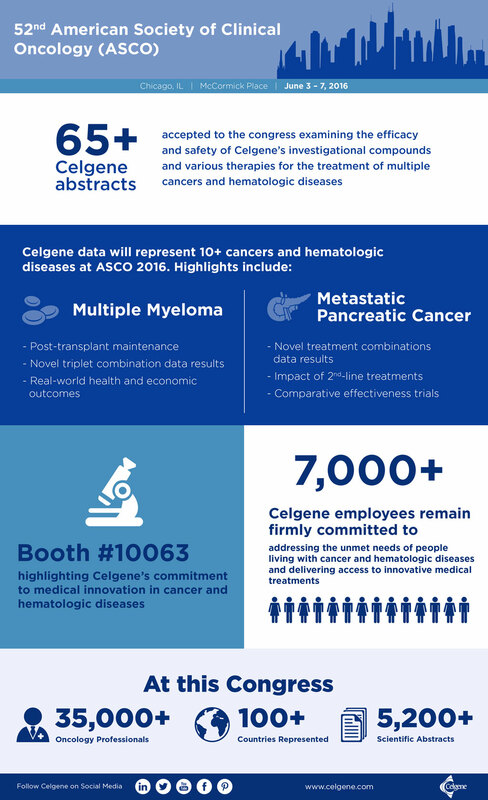 Celgene is committed to supporting investigators who conduct hematology research and has established the Celgene Awards, comprised of the Career Achievement Award, Young Investigator Award, and Future Leaders in Hematology Award to recognize those investigators who have made significant contributions to hematology research. In addition to acknowledging the winners, the recipients’ institutions receive a grant from Celgene to continue efforts in hematology research and education. An independent selection committee selects the institution based on the submissions received. 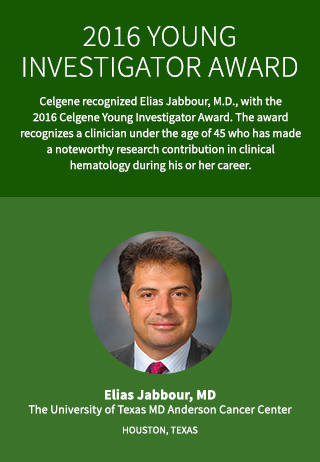 As nominations are being accepted for the 2017 Celgene Awards for Clinical Research in Hematology, Dr. 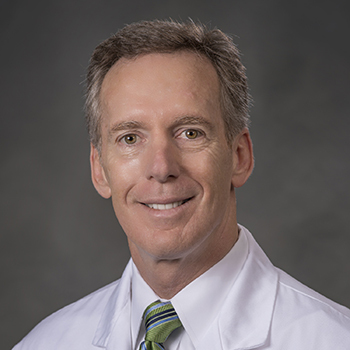 List shares what continues to excite him about the hematology field, what he attributes his success to and where he thinks research is headed. What did the recognition of your research through the Celgene 2016 Award mean to you? Which of your contributions are you most proud of? “Three things come to mind. The first is my work in developing a treatment option for MDS. In 2001, I was investigating the role of angiogenesis — the formation of blood vessels — in the bone marrow of MDS patients. That research led me to explore whether existing therapies that slow the growth of blood vessels could stop the disease from getting worse. 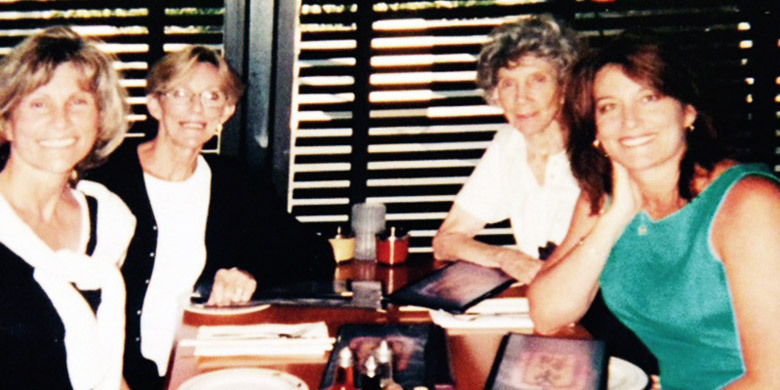 I applied for a grant and conducted a clinical trial that led to a new treatment option. “The second is my work on multidrug resistance in MDS and high-risk acute myeloid leukemia (AML). We tested a potential therapy and took it to a phase III trial. That study remains the only one to show a survival benefit in high-risk AML patients. What inspired you to pursue a career in hematology? This award is a recognition of all the work that my collaborators and I have done together. Nothing that I have achieved thus far has been the result of one individual. What were your biggest career challenges? What impact do you hope to make as President and CEO of Moffitt Center? What is the future of the hematology field? “In the past, we have been very linear in our view of science and biology. Research focused on gene mutations over the last ten years has been successful, but we know other factors also play significant roles in cancer. The disease is dynamic and complex, and it’s difficult to understand when we look at one part of the whole system. “We’ll treat and prevent cancer better when we take a systems biology approach and look at the complete picture of how cancer affects the body, including metabolic and cell signaling networks. Systems biology is going to be critical in furthering our understanding of cancer’s complexities. 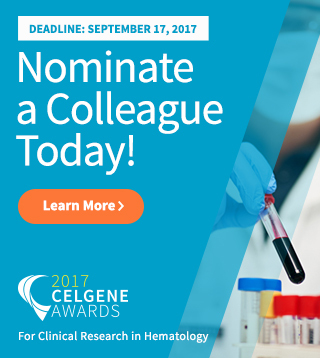 To learn how to nominate a colleague for the 2017 awards, visit the Celgene Awards for Clinical Research in Hematology website. Although blood cancers are relatively rare, their root causes may not be so different from those of other cancers. And since blood cancer samples may be more easily accessible than solid tumor samples, it can help research efforts and make excellent models for research. 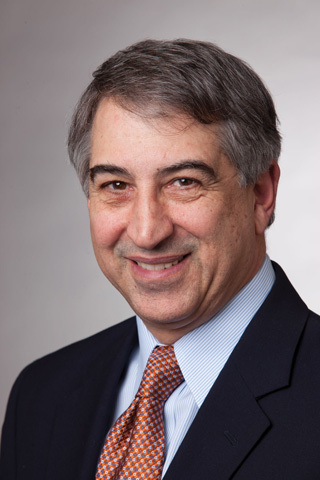 DR. LOUIS DEGENNARO, PRESIDENT AND CHIEF EXECUTIVE OFFICER OF THE LEUKEMIA & LYMPHOMA SOCIETY, EXPLAINS HOW ADVANCES IN BLOOD CANCER HAVE IMPROVED TREATMENT IN OTHER CANCERS. That’s why the LLS is especially focused during Blood Cancer Awareness Month on raising awareness of this second leading cause of cancer death in the United States (behind only lung cancer). Blood cancer is actually a family of over 140 distinct diseases that affect blood cells, acting as “bullies” within the circulatory and immune systems. These abnormal blood cancer cells typically grow more quickly and survive longer than normal, interfering with the production and functioning of healthy cells. Like all families, though, blood cancers have their differences. 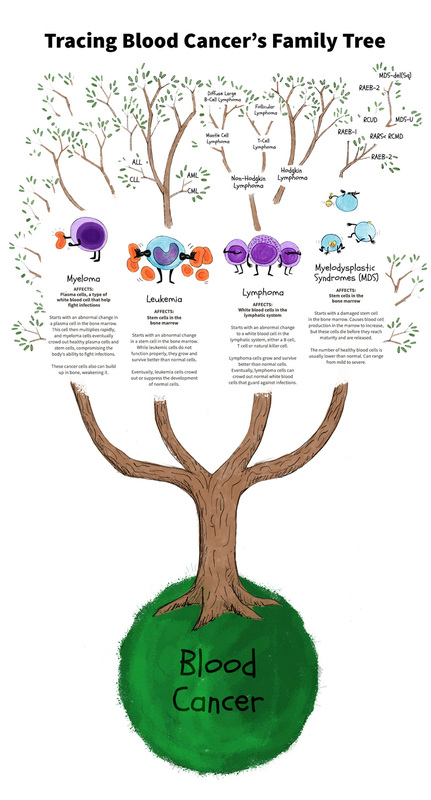 Lymphoma, leukemia, multiple myeloma and myelodysplastic syndromes (MDS), four major types of blood disorders, affect specific cell types in particular neighborhoods of the body. For instance, lymphoma alters white blood cells in the lymphatic system, while multiple myeloma disturbs plasma cells in the bone marrow. These four diseases branch out into further subtypes. Leukemia comprises acute myeloid leukemia (AML), acute lymphoblastic leukemia (ALL), chronic myeloid leukemia (CML) and chronic lymphocytic leukemia (CLL); lymphoma includes over 60 different forms. The distinction between all those subtypes lies partly in the specific cell type impacted. But scientists are learning that commonalities are more critical than distinctions. For instance, researchers have found mutations in a tumor-suppressor gene called TET2 in multiple blood cancers, suggesting it plays a role in how blood cells are regulated in the body. But even beyond blood cancer, the TET gene family has also been linked to breast, liver, lung, pancreatic and prostate cancers. Their commonalities may mean medical advances in one blood cancer could provide insights into others. An example is a class of therapies called tyrosine kinase inhibitors (TKIs), which have nearly doubled the five-year survival rate for CML since they were introduced 15 years ago. Today, TKIs have been approved to treat many other diseases, including lung, thyroid, kidney and breast cancers. “Blood cancer research is paying dividends to other cancers and diseases, and that will only continue as we learn more about these diseases,” said DeGennaro. PD-1 is a “checkpoint,” which immune cells use to determine whether they should attack an enemy, such as a tumor cell or a cell infected with a virus, or shut themselves down. Cancers, though, have found ways to manipulate PD-1. For example, they make high levels of its ligand, PD-L1. So when immune cells approach tumors, they become anesthetized by the PD-L1 and lose their ability to attack. New immunotherapy research is examining whether antibodies that block the PD-1/PD-L1 pathway can awaken and reactivate immune cells so they can once again kill tumor cells. There are other therapies designed to work with the immune system to combat cancer, but PD-1 and PD-L1 inhibitors may hold unique potential for some hard-to-treat cancers. While targeted therapies effectively shut down just one target within cancer cells, immunotherapy has more widespread effects — working with the body’s immune system as a whole to make it more difficult for the cancer to survive. Early clinical research suggests that a range of solid tumor cancers, including melanoma, lung cancer, bladder cancer, head and neck cancer (among others), respond to immunotherapy. Using sophisticated immune monitoring techniques to determine which patients respond to these immune-targeting agents remains a crucial endeavor at Celgene. Disrupting the PD-1 checkpoint may also result in an unchecked immune response that may lead to adverse effects for some patients. Researchers are learning how to engineer these therapies to not only be more effective but also minimize molecular interactions that may have undesirable consequences. Down the road, combination therapy with PD-1 and PD-L1 antibodies could be even more advantageous. “It’s a breakthrough and revolutionary, but really the tip of the iceberg,” Hershberg said. 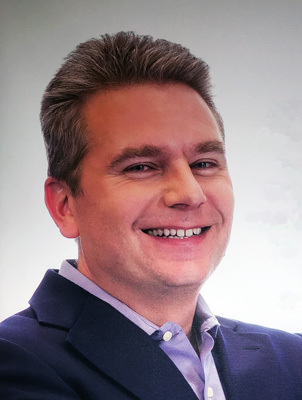 PETER SCHAFER, EXECUTIVE DIRECTOR OF TRANSLATIONAL MEDICINE AT CELGENE, BELIEVES WE ARE AT A TIPPING POINT WHERE THE COLLECTION OF LUPUS GENETIC RESEARCH IS ABOUT TO GIVE WAY TO NEW THERAPEUTIC APPROACHES. 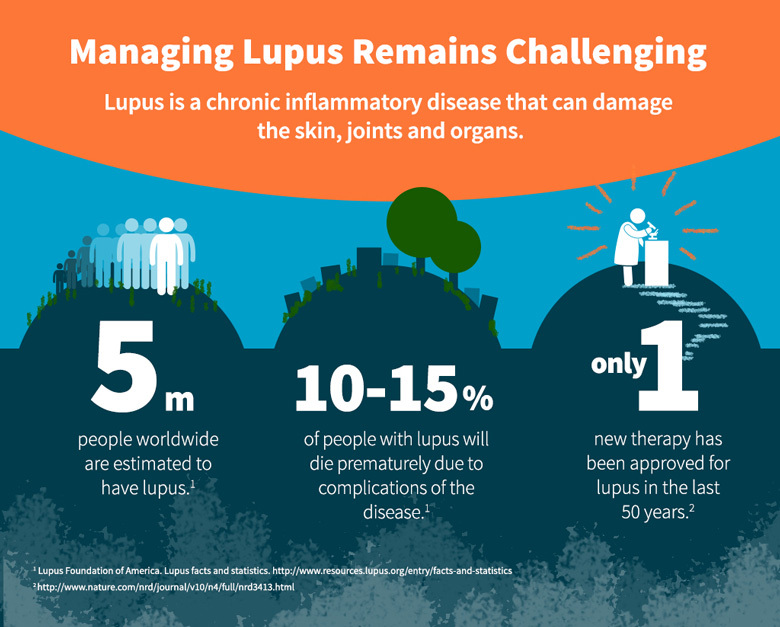 In the past 50 years, only one new therapy has been developed exclusively for lupus. Meanwhile, patients with this inflammatory disease — in which the body’s immune system attacks its own tissue — continue to combat symptoms like fatigue, joint pain and rashes. 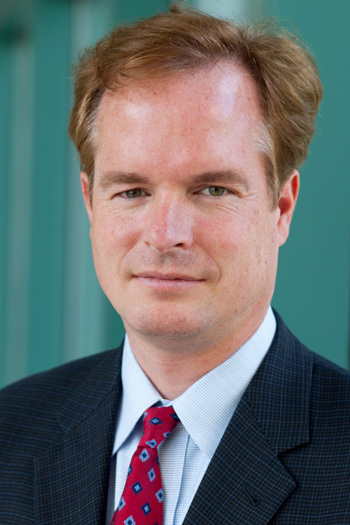 But Peter Schafer, executive director of Translational Medicine at Celgene, believes new genetic research in lupus is finally giving way to new investigational approaches that target mutations driving the disease. As this year’s Annual European Congress for Rheumatology (EULAR) 2017 gets underway in Madrid, Schafer explains how genetic research is opening up new avenues of research for this difficult-to-treat disease. How is our growing understanding of the genetic changes underlying lupus influencing the development of new treatments options? We’re living in an era that’s beyond the sequencing of the human genome. Over the past decade, researchers have identified a multitude of genetic variants linked with particular diseases. Companies are beginning to realize the value of targeting the proteins that are encoded by those genes. How has our understanding of genetics evolved over the past decade? Three years ago, if I told someone that there was a change in a part of a gene that did not include the “recipe” for a protein, they would dismiss that mutation. Now we know that you shouldn’t necessarily ignore it. We’re realizing that other parts of the gene may be doing something else—for instance, controlling the quantity of protein being produced. Sometimes, the most obvious experiments go undone. One example is comparing the amount of a protein being produced in people with a given disease and those without. You may never bother to look if you dismiss that genetic change. Have researchers found such variants that are believed to contribute to lupus? Yes. For instance, there are variants in the genes for two proteins, called Ikaros and Aiolos, that help with the development of the immune cells that can cause inflammation. 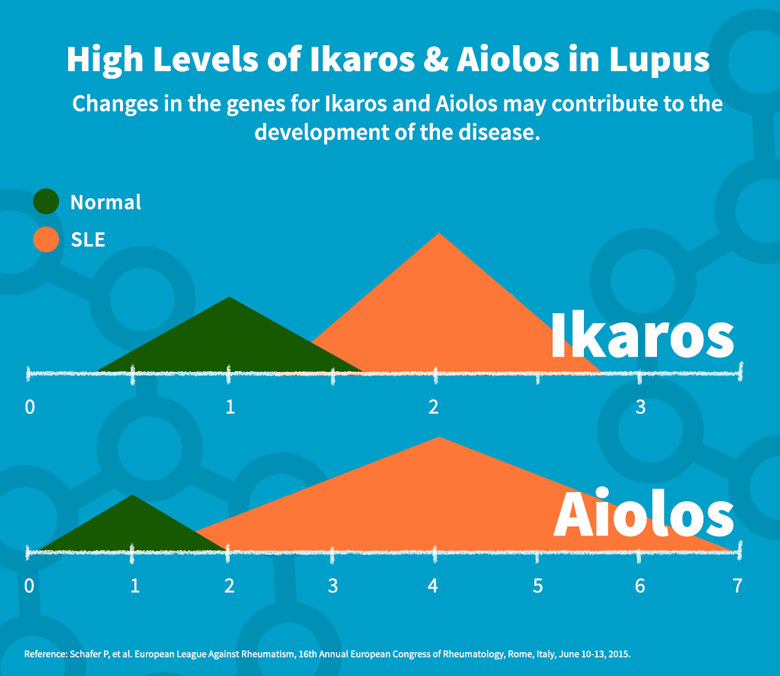 Lupus patients have twice the normal Ikaros levels and four times the normal Aiolos levels. Have therapies that target such mutations linked with lupus been developed? A few medications exist that target some of the proteins of the identified genes, but they are not approved for treating lupus. Their use in lupus will have to be investigated. Until this year, there had not been a program to evaluate a treatment that is designed specifically to target these potential genetic drivers of lupus. What makes developing targeted therapies for lupus more challenging than for diseases such as cancer? Lupus can be a debilitating disease, but the mortality rate isn’t as high as in cancer. As a result, a patient is less likely to be willing to deal with side effects, and their expectation is much higher. Also, you’re not trying to kill a tumor. Instead, you’re trying to maintain some degree of suppression of the immune system over the long term. Lupus patients don’t use a high dose of treatment for a short period and then stop; they have to keep using their therapy. You want to know how low the dose can be and still be effective, so you don’t put the patient at risk unnecessarily. How challenging is it to test the efficacy of treatments for lupus? Lupus affects so many different tissues, joints and organs. Clinical efficacy measures of a new lupus treatment should evaluate the effectiveness of that treatment across the various organ systems involved in lupus. You’re looking for an improvement in at least some of those symptoms without worsening others. At this time, lupus patients are being classified by which tissues are affected. But now that we’re looking at the disease from a genetic perspective, we have seen genetic variants in lupus patients regardless of the tissue affected. This finding is shifting our thinking about how to approach a disease like lupus, because if all lupus cases have similar root causes, genetic evaluation is important. Classifying patients solely by their affected organs might not be as useful for treatment purposes. Last month, James Fitzgerald celebrated his wedding day. It was an event that he never thought he would see when he was diagnosed with acute myeloid leukemia (AML) six years ago. He was immediately hospitalized, and his liver and kidneys failed within 24 hours. His doctors put him into a medically-induced coma for a week before starting his treatment, which included an intensive combination of chemotherapy and radiation. It was one of the only treatment options for AML at that time. But that’s changing for AML patients like Fitzgerald. Therapies that target some of the specific molecular genetic changes in AML are being developed, and that’s making mutational profiling more important than ever. That’s good news for Fitzgerald who is currently in remission but is concerned that his disease may one day come back. Enabled by breakthroughs in genome sequencing and analysis over the past decade, researchers have learned more about the genetics that drive AML. 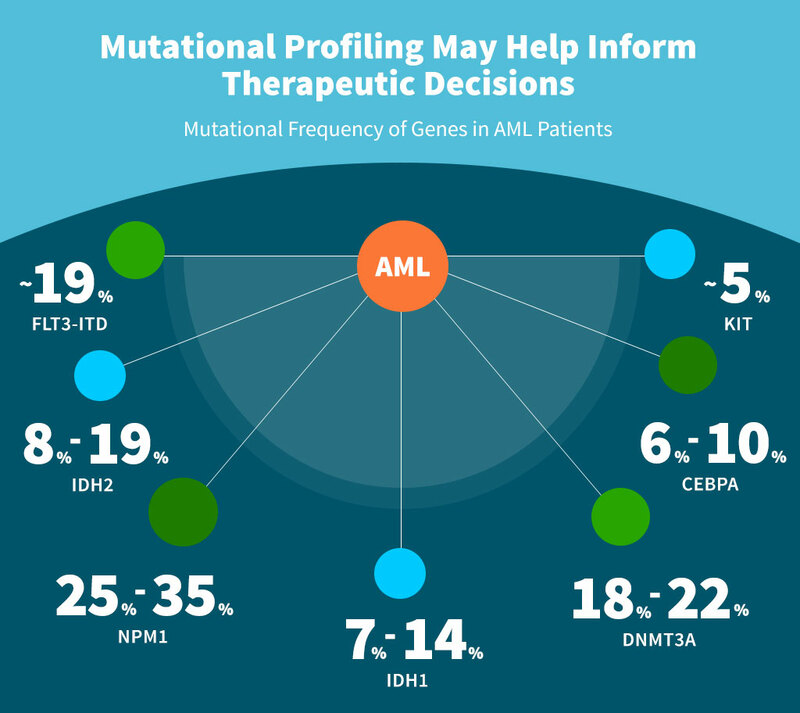 In 2008, an AML patient was the first cancer patient to have her genome sequenced, enabling researchers to discover 10 molecular mutations related to the disease. Since then, scientists have identified as many as 80 potentially disease-associated mutations in many genes, including NPM1, FLT3-ITD, IDH2, DNTM3A, KIT, IDH1, and CEBPA. They have now found genetic differences between the 34 subgroups of AML, confirming the idea that not every AML case is the same. This diversity can make treatment a challenge. But scientists and patients are hopeful that a better understanding of these molecular changes will improve outcomes. That’s particularly good news for a disease that has not seen substantial improvements in 20 years. I hope doctors start learning more about the mutations in AML and start talking with their patients about the genetics of the disease. The current standard of treatment — an intense combination of chemotherapy — is not particularly easy for patients to tolerate, something Fitzgerald can attest to. Eventually, he received a bone marrow transplant and has been in remission ever since. Given the severity of treatment-related adverse events, the standard treatment regimen is often not prescribed for older or unhealthy patients. So while half of AML patients under age 60 years live five years or longer, only up to 15 percent of older patients, who more often cannot receive intense chemotherapy, reach the same milestone. Researchers are turning their focus to develop therapies that target the specific molecular mutations that drive AML. A recent analysis of 200 patients showed that more than 99 percent of patients had at least one mutation associated with the disease. As new targeted therapies are being explored, an understanding of the underlying mutations in each patient becomes increasingly important for doctors and patients to decide on an appropriate treatment plan. The Leukemia & Lymphoma Society is exploring the possibility of bringing a personalized approach to AML treatment through its Beat AML clinical trial. With such initiatives in progress, molecular profiling is on its way to becoming a standard part of disease classification and treatment for AML patients. BRUCE BEBO, PH.D., EXECUTIVE VICE PRESIDENT OF RESEARCH AT THE NATIONAL MS SOCIETY, BELIEVES THAT ADVANCES IN MS TREATMENT ARE ENCOURAGING. While treatment for multiple sclerosis (MS) has improved over the past 20 years, there’s still no cure. Most people living with MS have a form of the disease called relapsing-remitting MS (RRMS) with cycles of relapses (when symptoms flare up) followed by periods of remission (times of little or no symptoms). But researchers now better understand the pathways that contribute to MS relapses, and that knowledge is driving the development of new treatments. 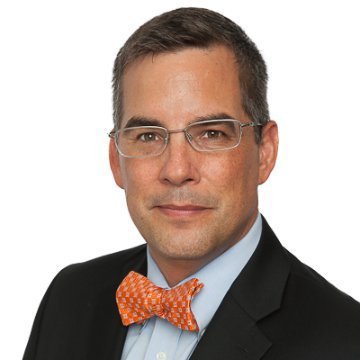 During this year’s MS Awareness Month (March), we spoke with Bruce Bebo, Ph.D., executive vice president of Research at the National MS Society, to understand the questions driving MS research today and the progress being made. The National MS Society is funding more than 300 research projects and invests about $50 million in MS research each year. What are some of the most exciting recent advances? Advances in repairing the myelin sheath, which protects nerve cells and is destroyed by MS, are encouraging. This approach has tremendous promise to work with immunotherapies to stop the disease from getting worse. MS is an autoimmune disorder in which the body’s immune system attacks and destroys nerve cells; so immunotherapies may ultimately slow down or halt the neurodegeneration in MS. A better understanding of the role of B cells (a type of immune cell) play in this destruction will likely lead to new and improved treatments for this type of MS. Most of the 2.3 million people worldwide with MS have a type called relapsing-remitting MS (RRMS). What are the big questions that are driving research in RRMS? We still don’t know the precise targets that the immune system recognizes in RRMS, the environmental risk factors and triggers or how the estimated 200 genes that have been associated with MS actually contribute to the disease. How will answering these questions help lead to more effective treatment options for patients with RRMS? Immunotherapies today often affect immune cells that fight infection as well as those that cause MS. Knowing the targets will allow us to develop more precise therapies that will prevent the immune system from attacking nerve cells but not interfere with fighting infections. Understanding the environmental lifestyle factors and genetic factors will also reveal pathways and strategies for treatment and prevention. There will always be some people who respond and others who do not. Having more options will allow doctors to personalize therapies for people living with RRMS. With over a dozen available treatment options, why do we need more for RRMS? There will always be some people who respond to specific treatments and others who do not. Having more options will allow doctors to personalize therapies for people with RRMS. Another reason is that our best treatments today only inhibit relapses by about 50 percent. We can do better than that! And more targeted immunotherapies could help stop the progression of RRMS without leaving a person with MS vulnerable to infections. How important is a person with MS’s role in RRMS research and clinical trials? The only way we can make progress in MS is by studying people with the disease. Patient-centered research efforts are gaining momentum. One of those efforts is the iConquerMS program, which is collecting data from 20,000 people about their lives with MS and their treatment responses. This will help answer questions about how environmental and lifestyle factors influence MS. People with MS can also take part in clinical trials of new MS therapies. They can find out about these at the National MS Society website. The vision of National MS Society-funded research is to move us closer to a “World Free of MS.” While we are still searching for a cure, what does freedom from MS mean for people with the disease in real-life terms? Freedom means something different to every individual living with MS. To some it simply means having the energy to enjoy dinner with their family at the end of the day. For others, it means being able to enjoy activities such as hiking, biking or painting. While progress made in immunotherapy is bringing hope to many patients, chemotherapy remains the backbone of treatment for the majority of patients living with non-small cell lung cancer. In some ways, researchers continue to evaluate the full potential of this foundational therapeutic class. 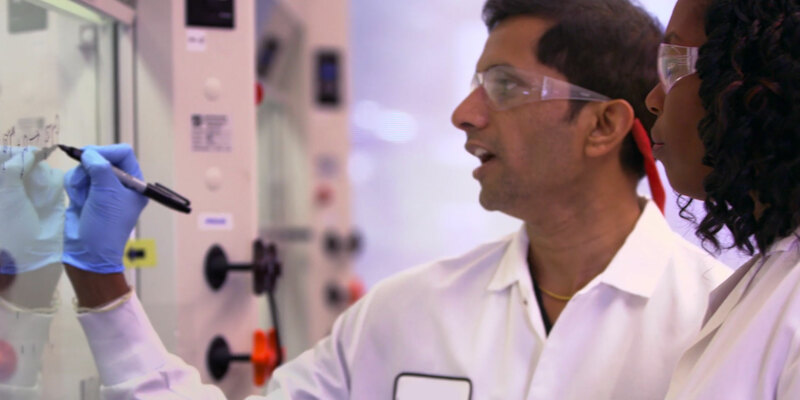 UPAL BASU ROY, DIRECTOR OF RESEARCH AND POLICY AT THE LUNGEVITY FOUNDATION EXPLAINS THAT CHEMOTHERAPY AND IMMUNOTHERAPY MAY MAKE A POWERFUL COMBINATION IN THE FUTURE. Lung cancer remains one of the deadliest forms of cancer, with an approximate 18 percent five-year survival rate. While certain subtypes of non-small cell lung cancer can be treated with targeted therapies, the majority are still treated with chemotherapy. Fortunately, the experience of chemotherapy today is considerably less challenging than it was decades ago. 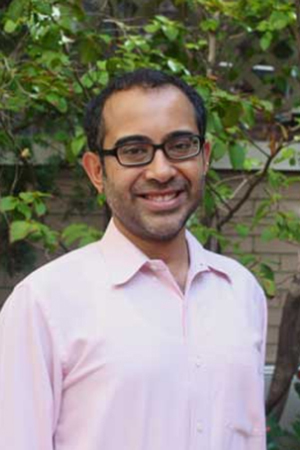 “When my grandmother was treated with chemotherapy for cancer in the 1980s, she suffered just as much from the side effects as she did from the cancer,” Basu Roy said. “But when my uncle was treated in the 2000s, his doctors prescribed him anti-nausea medications to help minimize that side effect.” Other medicines used along with chemotherapy aim to battle fatigue and loss of appetite. By making chemotherapy more tolerable, doctors have expanded its use to earlier stages, when the disease has not spread (“metastasized”) beyond the lungs, so surgeons can attempt to remove the tumor. Chemotherapy before surgery can help shrink the tumor, making it easier to be removed. Giving chemotherapy soon after surgery is meant to kill any cancer cells left behind and has increased the five-year survival rate for patients with non-small cell lung cancer by 5 percent. When the tumor cannot be removed surgically, a combination of chemotherapy and radiation, given at the same time, has helped patients live longer. With immunotherapies, which work with your body’s immune cells to fight cancer, the potential for innovative combination treatments with chemotherapy is growing. These new therapies have significantly reduced, or in rare case even eliminated, the tumor burden of metastatic disease in patients. But they don’t work for everyone. For instance, PD1 inhibitors work for 20 to 30 percent of patients with non-small cell lung cancer, meaning the remainder needs other options. Some studies are combining immunotherapy with chemotherapy to determine whether more patients respond. With a rapidly changing treatment landscape, community oncologists who treat many types of cancer may not be up to date on the latest advances specific to lung cancer. So patients should learn all they can, ask plenty of questions and seek out second opinions from lung cancer specialists. To provide the lung cancer community with the information needed to ask the right questions and make the best treatment decisions with their doctors, Celgene has worked with Cancer Support Community and LUNGEVITY to publish an educational resource called “Treatments for Advanced and Metastatic Lung Cancer” as part of the Frankly Speaking About Cancer® series. 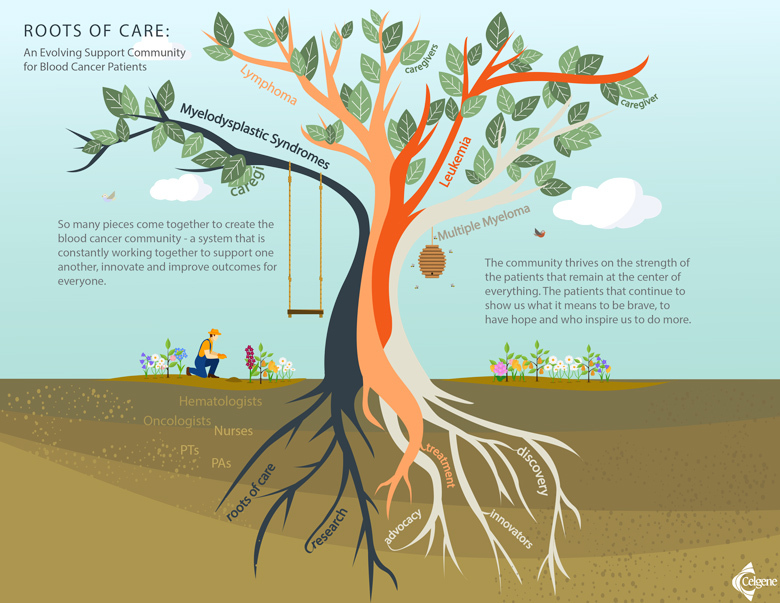 This guide is designed to help patients feel empowered to take control of their cancer—and their lives – and provides a comprehensive overview of treatment options for metastatic lung cancer, as well as a tear-out discussion guide to help patients understand what questions to ask and the type of information they need to work with their doctor to decide the best treatment options. To learn more about the treatment options for metastatic lung cancer, read Treatments for Advanced and Metastatic Lung Cancer at the Cancer Support Community website. As a modern class of therapeutics, antibodies continue to change the treatment landscape for cancer. Antibodies are naturally produced Y-shaped proteins whose “arms” grab hold of bacteria, viruses and other possibly dangerous cells while the “leg” recruits immune cells to destroy the invaders. Researchers have leveraged this ability of antibodies into a treatment approach called immunotherapy, in which antibodies, or pieces of antibodies, are designed in the lab to better recognize cancer cells as invaders and call in the immune system to kill them. Immunotherapy has proven successful, with many drugs approved over the past decade. Now researchers are trying to improve on that success by splicing together portions of two antibodies with distinct targets to create what’s known as a bispecific antibody. The hope is that two targets will be better than one. 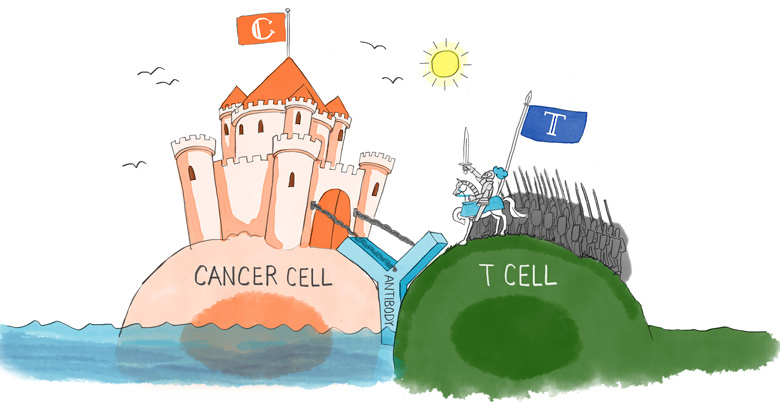 Bispecific antibodies may work two ways: either by blocking two pathways cancer cells use to thrive or by blocking one cancer pathway and simultaneously recruiting immune cells called T cells to tumors. The concept of bispecific antibodies isn’t new (the idea has been kicked around since the 1970s), but interest has been renewed as the techniques to produce large quantities of these proteins have improved substantially over the past decade. As a result, researchers are now able to explore their potential to combat many different cancers. In fact, the U.S. Food and Drug Administration has already approved two bispecific antibodies, and more than 30 others are being tested in clinical trials. One cancer being tested is multiple myeloma, a disease that affects blood cells. Although researchers have made significant progress in the treatment of myeloma over the past decade, most patients will eventually relapse, meaning new therapies are in demand. CAR-T cells and bispecific antibodies as single agents may offer new hope to patients with myeloma, but they also may provide the opportunity for new combinations with other novel targeted therapies under investigation. Myeloma cells display a promising target for immunotherapy called B-cell maturation antigen (BCMA), which is found in 60 to 70 percent of multiple myeloma patients. So a new potentially successful bispecific antibody therapy might, for example, have one arm that binds to myeloma cells via BCMA and another that binds to T cells, one of the immune system’s top cancer assassins. While typical antibodies that bind to just one target also recruit immune cells, they generally do not specifically bring in T cells. A bispecific antibody with this ability is expected to have greater cancer-killing effects than conventional antibodies. BCMA is also used in another immunotherapy approach for myeloma called chimeric antigen receptor T cells (CAR-T) therapy. In this strategy, a patient’s T cells are extracted, engineered in the lab to recognize and bind to BCMA, and then placed back into the patient. The goal is for CAR-T cells to home in on and destroy myeloma cells. CAR-T cells and bispecific antibodies as single agents may offer new hope to patients with myeloma, but they also may provide the opportunity for new combinations with other novel targeted therapies under investigation. Ultimately, the aim with both tactics, alone or in combination, is to cure myeloma, a goal that seems more and more possible with every scientific advance. When recruiting patients for a clinical trial, it is important that researchers select the right mixture of people—in terms of age, gender and ethnicity—who they’re seeking to treat with a new therapy or treatment intervention. This variety is critical for researchers to understand how treatments impact patients differently. Unfortunately, achieving diversity in clinical trials continues to be a challenge. 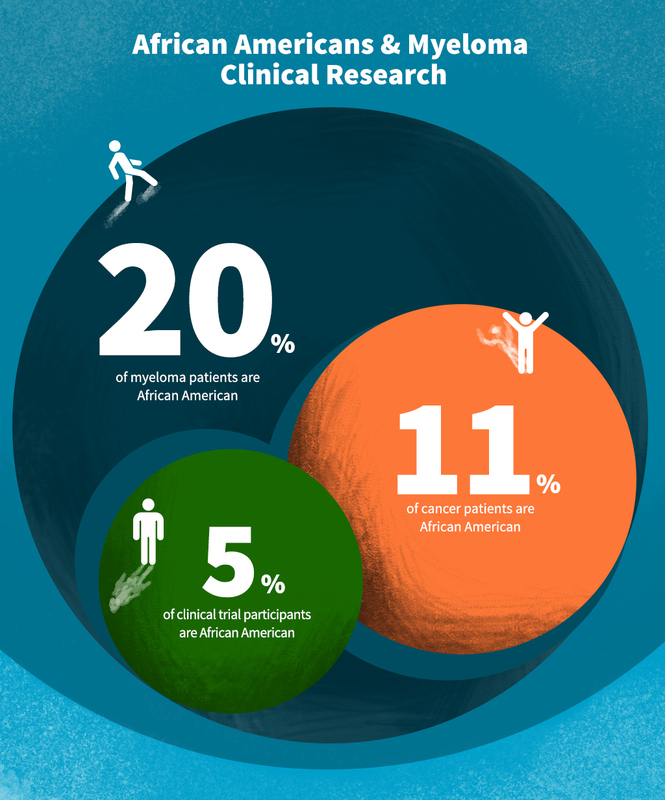 While African Americans make up over 20 percent of newly diagnosed multiple myeloma cases in the United States, they represent only 8 percent of cancer clinical trial participants. 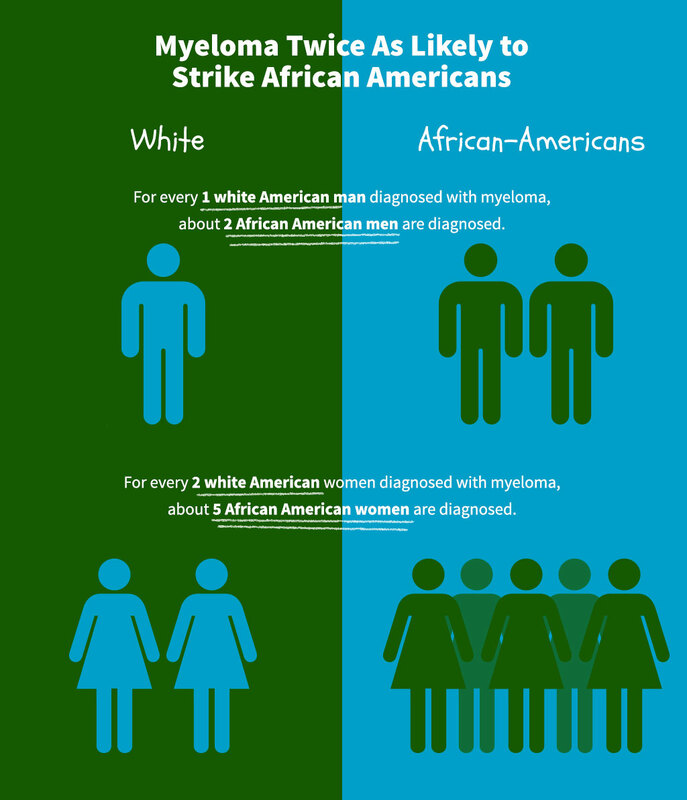 When it comes to multiple myeloma, a cancer of a type of white blood cells called plasma cells, African Americans are twice as likely to be diagnosed with the disease, which makes it even more important that they are better represented in myeloma clinical trials. Meanwhile, African Americans are more likely than any other racial group to be diagnosed with and die from cancer. African Americans have also benefited less from advances in myeloma treatment over the past two decades than whites, suggesting unequal access to or response to treatments. Understanding the genetic differences between African American patients and other patients with myeloma could go a long way in explaining the differences among different patient groups in how the disease progresses and responds to treatment. As a result, doctors may get more insight into how to treat the disease most effectively for each group. 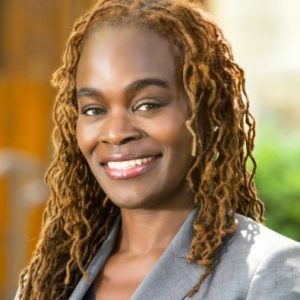 Alfiee Breland-Noble, an associate professor of psychiatry at Georgetown University, explains why minorities have a mistrust of the American medical system. But recruiting African Americans for trials has been difficult. In one 2013 survey, African Americans were more likely than any other racial group to cite lack of trust as a reason not to participate in a clinical trial and to believe that patients are sometimes enrolled in trials without their consent. To boost enrollment of African Americans in clinical trials, including those of myeloma therapies, clinicians have to build an environment of trust. Clinics must be proactive in communicating the value of clinical trials consistently—with pamphlets in the waiting room, for example, not just when recruiting patients—so people can begin to learn why participation is so vital to improving the understanding of disease and treatments for everyone. The message we want clinicians to get across to African American patients is: you are needed, you are important, and we need to know how these medications impact people like you. For instance, one study found that providing patient navigators to help guide patients and answer their questions about the process raised the enrollment rate of eligible African American cancer patients to about 80 percent. Another group found that African Americans who participated in a clinical trials education program through their local church were almost three times as likely to enroll in a clinical trials registry. “The message we want clinicians to get across to patients is: you are needed, you are important, and we need to know how these medications impact people like you so that we can help other people like you,” said Breland-Noble. Diversity among researchers, clinicians and clinic staff can also help patients of various backgrounds feel more comfortable throughout their care. It’s a sentiment that Celgene’s Standing in the Gaap initiative is already embracing, with efforts to boost the numbers of students pursuing cancer research and medicine at historically black colleges and universities. By making the field of myeloma care and research more diverse, the campaign aims to make African American patients feel more included and more likely to participate in clinical trials. It’s only then that researchers can study the full links between genetics and myeloma. 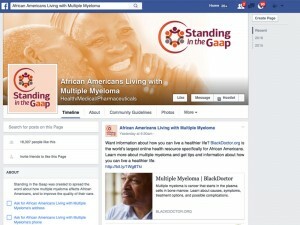 Discover more information about how myeloma affects African Americans on the Standing in the Gaap Facebook page. Dermatologists classify a patient’s disease as mild, moderate or severe based on how much of the body is affected. According to a National Psoriasis Foundation survey, 25 percent of people living with moderate psoriasis are not receiving treatment, and 30 percent are being undertreated with only topical medications. These patients face an uphill battle in getting a proper diagnosis and accessing treatment options that could improve their lives. Psoriasis is an inflammatory disease that causes red, scaly patches on the skin, most commonly on the elbows, knees or scalp. Dermatologists classify a patient’s disease as mild, moderate or severe based on how much of the body is affected. 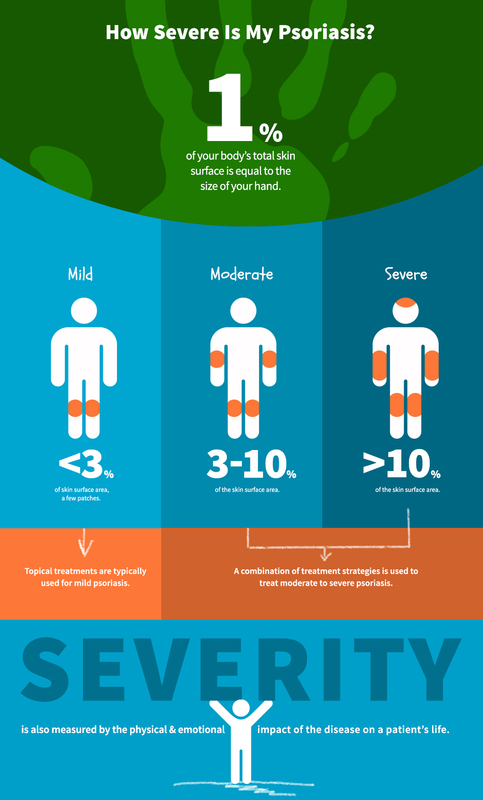 If less than 3 percent of a patient’s body is covered with psoriasis, it is considered mild, and if more than 10 percent is affected, it is considered severe. Those cases that fall in between are called moderate. For instance, a patient with psoriasis on the palm of his or her hands would technically have a mild case based on the small area affected, but the location could be debilitating. That impact on the patient’s life might justify classifying this case as more severe, according to Van Voorhees. Traditionally, dermatologists have prescribed topical medications for mild psoriasis and systemic therapies for those with severe psoriasis. But for the 40 percent of psoriasis patients who identify their disease as moderate, few treatments really addressed their unique needs. As a result, doctors had little choice but to prescribe topical treatments for most moderate psoriasis patients. To improve the lives of patients stuck in between mild and severe psoriasis, we need to educate doctors and insurers about the impact of moderate psoriasis on patients’ lives and about the potential of these new treatments. Even if a dermatologist prescribes a new therapy, insurance companies could still deny coverage. Insurers often only cover systemic therapies if 10 percent or more of a patient’s body is affected by psoriasis, meaning only severe psoriasis patients would have access to these therapies. According to a 2014 study, insurance problems were one of the top reasons psoriasis patients stopped taking their treatment. When patients are diagnosed with pancreatic cancer, doctors often tell them there are limited treatment options and to prepare for the worst. 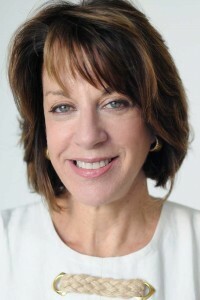 For pancreatic cancer patient and advocate Anne Glauber, though, a patient-first approach to treatment is helping her beat the odds. Glauber explains why patients need to make their voices heard during treatment. When did you learn that you had pancreatic cancer? How has it affected your life? I was diagnosed with stage IV pancreatic cancer in May 2014, and, to put it mildly, it has completely transformed my life. I had no signs or symptoms at all until a week before my diagnosis when I got jaundice and was feeling tired. I thought it was just because of my busy schedule; I was working as a managing partner at the public relations firm Finn Partners, co-founded NO MORE, had just published a book and was busy with pro bono projects as well. My diagnosis was shocking and devastating. My entire life halted. How important was it to know that you were not alone at that time? I couldn’t have gotten through that shock without the support of my family, my children Lili and David, my partner Dave and my close friends They all helped me research where I should go for treatment and who the best pancreatic cancer specialists in the country were. How limited were your treatment options? When I was diagnosed, the doctor told me there were two treatment options—both had side effects but could possibly give me a couple of extra months to live. I went to the top cancer institutes in the country and heard the same things—they were offering me standard-of-care treatments. A friend recommended that I meet a doctor in Los Angeles, so my family and I packed our bags. Our planned three-day trip turned into a month-long stay after speaking with him about his treatment approach. 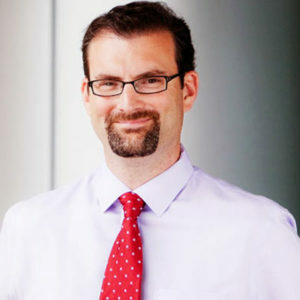 He is creative and innovative in treating pancreatic cancer. I was introduced to another doctor at New York Presbyterian, who is now handling my day-to-day care and is also very innovative and shapes treatments that are personalized to my tumor. They introduced me to scientists involved with cutting-edge research. How has that research informed your treatment? It’s made it more personalized. 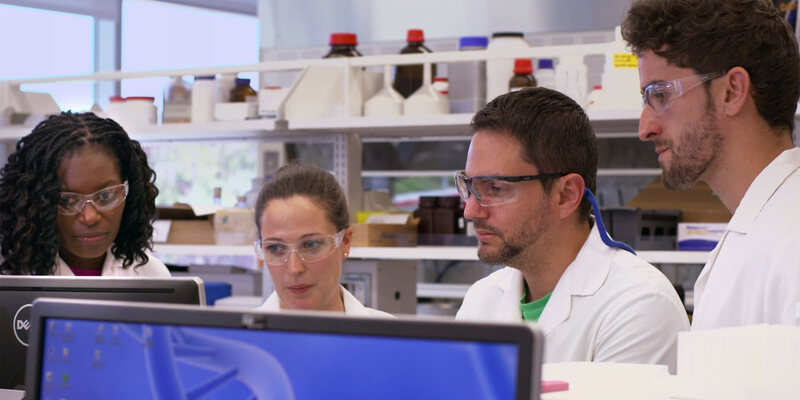 We’ve incorporated approaches to make the cancer more susceptible to treatment, including investigative research in circulating tumor cell analysis. I also have an organoid, which are my tumor cells living in a lab dish. These cells can be tested with thousands of different possible treatments to see what can be effective for my pancreatic cancer. My organoid was created by scientists led by a researcher at the Lustgarten Foundation’s Pancreatic Cancer Research Lab at Cold Spring Harbor Laboratories. Why is it important for patients to make sure their voices are heard? I think pancreatic cancer patients need to be informed about their treatment and to advocate for science-driven care that can be personalized to their unique tumor and cancer. Patients and families need to be educated about science-driven options beyond the standard of care so they can ensure that they are getting the best treatment possible for them. We need to make sure insurance keeps pace with the science. 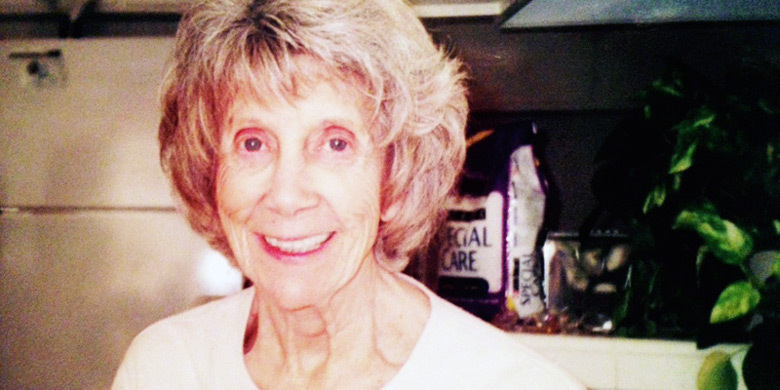 Personalizing treatment is really, really critical for pancreatic cancer patients. 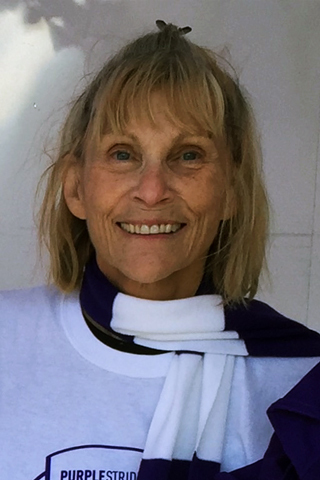 Because I’ve personally seen what the science can do, I became a board member of the Lustgarten Foundation, the largest private funder of pancreatic cancer research. I am also working on launching an interactive website called “Let’s Win” that will help pancreatic cancer patients share information about treatment with each other and learn about new a science advances and clinical trials. Let’s Win will be launched in May. What should we as a society be focusing on with regard to pancreatic cancer? There’s no cure for pancreatic cancer, and I don’t know if we’re anywhere close to a cure. We need to get more resources to explore personalized medicine further. We need to make genomic analysis easier to access and have better insurance coverage for it. While some things like organoids and circulating tumor cell analysis remain investigational, we need to make sure insurance keeps pace with the science. Personalizing treatment is really, really critical for pancreatic cancer patients. What would you like people to know about pancreatic cancer on Rare Disease Day? We need more resources dedicated to pancreatic cancer research. We need to get more funding for scientists who are making great strides in detecting and treating this disease. Pancreatic cancer is underfunded, especially given the relatively high mortality rates. We must have more funding for research into this disease. While improvements in the treatment of multiple sclerosis (MS) have focused on reducing the frequency of flare-ups, preventing MS-related disability has remained a struggle. Multiple sclerosis and other immune-inflammatory diseases can flare up when white blood cells go rogue—exerting their inflammatory effects where they shouldn’t. Scientists have recently identified methods to corral these rogue cells, lessening their ability to inflict damage, by blinding them to the signposts that lead them astray. The latest research now aims to refine this method, to lessen potentially dangerous side effects. Unwanted, uncontrolled inflammation can wreak havoc in the body. It’s at the root of multiple sclerosis and countless other disorders, including Crohn’s disease and ulcerative colitis. Research has shown that the damage can be partly blamed on an invasion of white blood cells called lymphocytes. As a result, several strategies have been devised to interfere with their migration to inflammation sites. In one such strategy, lymphocytes are made “blind” to the signals that lead them out of hiding and send them off in search of inflammation. When they aren’t off finding enemies to fight, lymphocytes can often be found hanging out in lymph nodes, where they are relatively harmless. But they can be lured out of nodes by a signaling molecule called sphingosine 1‐phosphate (S1P). Nodes have little S1P, while the blood vessels they sit near have much more S1P, and the white blood cells follow the trail of S1P to escape their hiding spots. Once in the bloodstream, lymphocytes are free to wander to places where they might do damage—like an inflamed intestine, in the case of Crohn’s disease, or a vulnerable neuron, in the case of multiple sclerosis. But their escape from lymph nodes can be blocked by modulating the receptors that sense S1P, known as the sphingosine 1‐phosphate receptor (S1PR) family. Therapies that interfere with S1PR aim to trap lymphocytes in lymph nodes, reducing their numbers in the bloodstream and tissues. And at least one such therapy has been successful in treating certain forms of multiple sclerosis. Interfering with the S1PR family can have its drawbacks, though. For instance, since one S1PR member is involved in cardiac function, patients have to be monitored for several hours after their first dose, to ensure their heart continues to work properly. As a result, researchers are looking for therapies that more specifically target only the S1PR members that let lymphocytes out of nodes. The aim is to improve the reduction in inflammation while also reducing the chances of potentially dangerous side effects. Members of the S1PR family belong to a class of membrane receptors known as G-protein-coupled receptors (GPCR). These proteins are like signal transducers—taking messages from the environment in the form of sugars, fats, protein and even light and translating them into changes inside cells. Humans have almost 1,000 different GPCRs, and each recognizes and responds to a particular signal. They have so many different functions that it’s thought between a third and a half of all marketed drugs act by binding to GPCRs. GPCRs have a very distinctive shape and structure: a protein chain that wraps back and forth seven times from the outside of the cell to the inside and back. The loops facing out of the cell form a landing site for signaling molecules. Inside the cell, GPCRs interact with the partners that give the receptors their name: G proteins. G proteins are like on-off switches that can be flipped depending on the state of its GPCR. G proteins have three parts: α, β and γ. When the three are bound together with their GPCR, α binds a compound called guanosine diphosphate (GDP), which keeps it in an “off” state. When the right signal outside the cell—a sugar, for example—binds to the GPCR, the receptor changes shape, kicking α and its GDP out of the group. The change also causes GDP to be replaced with guanosine triphosphate (GTP), which creates an “on” state. It’s this active α subunit that travels through the cell turning on specific cellular activities. Back at the cell membrane, the now lonely β and γ portions of the G protein also relay messages into the cell. For instance, they can activate (or inhibit) enzymes or open up (or close) ion channels. The resulting metabolic changes allow the cell to respond to an ever-evolving environment.